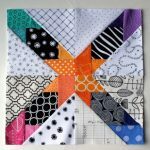 Beginner quilters may be familiar with the tools of the trade, but most are only familiar with one style: patchwork, or piecing. Just like any other craft or art form, there are numerous styles of quilting, and they each offer their own unique looks. 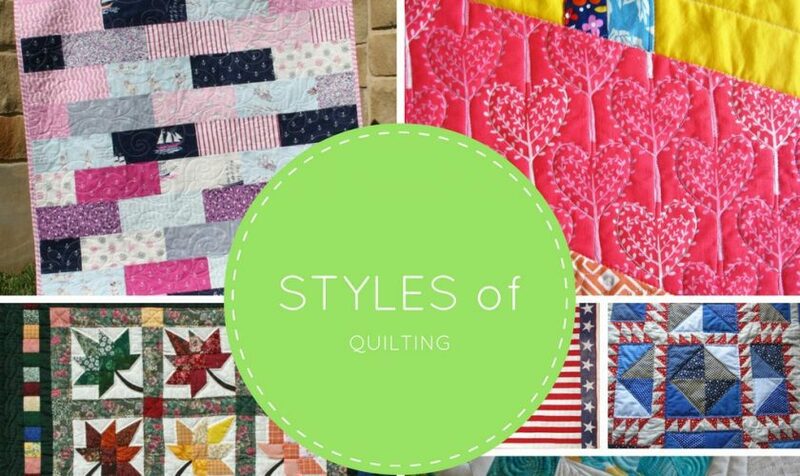 We’re going to explore the most popular styles of quilting still used today. 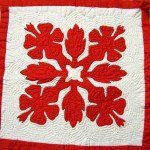 There are dozens of quilting techniques, but some are more popular than others. Pieced, or patchwork, quilting is the most basic and common type of quilting. As its name suggests, these quilts are constructed by sewing pieces of fabric together. 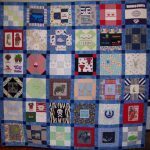 Patchwork quilts can use any type of block and any construction technique. 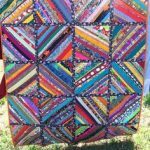 From triangles to strips, half-squares and everything in between, pieced quilts are the most forgiving type of quilting, and many people stick with this style until they reach a more advanced level. Pieced quilts are typically themed, but they don’t have to be. They can be scrappy, spontaneous and unplanned. Anything goes with this style. With the applique style of quilting, shapes are sewn onto a background either by hand or using a machine. The great thing about this style is that you have complete creative freedom. Simply draw the shape you want on your fabric of choice, cut out the shape, and sew it onto the background. Backgrounds are typically solid and light in color, but you’ll find adventurous quilters working with darker and even printed background fabrics. Applique has been around since the early days of quilting. The paper piecing or Foundation Paper Piecing (also called FPP) technique allows you to achieve sharp, crisp edges to create dramatic designs. By following the numbers, you can achieve stars and other difficult shapes, or create intricate pictorial blocks. There are a lot of beginner patterns and tutorials for this style on the web. English paper piecing, also known as EPP, is a classic, traditional quilting style that dates all the way back to the 18th century. The EPP style is typically used when piecing shapes that have in-set seams or many sides. Like the paper piecing technique above, EPP involves the cutting of individual paper templates to the exact shape and size. Fabric is wrapped around the pieces, basted and pressed. The paper holds the fabric into shape and a whipstitch is used to piece the shapes together. Art quilts are a unique style, and no two pieces are the same. As you may have guessed, this style involves the quilter turning the quilt into a work of art. What makes this style unique is that the end product (the quilt) isn’t designed to keep you warm. These quilts tell a story or convey a message. Rather than piecing together blocks of fabrics, art quilts have unique shapes and designs. Some may use unconventional materials or construction techniques. 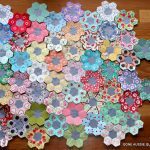 Amish quilts were originally created as a frugal way to use up fabric scraps, Amish quilting has transformed into an art form. This style of quilting uses simple but striking designs with solid colors, like blue, black, purple and red. Memory quilts are a great way to preserve your family’s history or celebrate an important moment in your life. Traditional memory quilts are often made from a loved one’s clothing, and they can bring great comfort to someone who is grieving a loss. From shirts to jeans, blouses, handkerchiefs, dresses and ties, memory quilts can be made with just about any piece of clothing or fabric. Photos quilts are popular today, as photos are easily transferred to fabrics. While these quilts can also be a way to remember loved ones who have passed away, they can also be a great way to celebrate a growing family. Quilts adorned with photos of grandchildren make thoughtful and loving gifts. A rather obscure style, cathedral window quilts are inspired by the crisp lines and bright colors found in church stained glass windows. These quilts are constructed using unconventional techniques, and consists mainly of the patchwork top and edging. The “window panes” are typically made from muslin or cheesecloth fabric to create a translucent effect stained glass windows are known for. The “window frames” are made from heavier fabrics, like calicos and cotton. This style is done by hand and can produce some amazing looking quilts. A trendy style, rag quilts are quick and fun to make. Their unique style breaks away from the traditional quilt look. 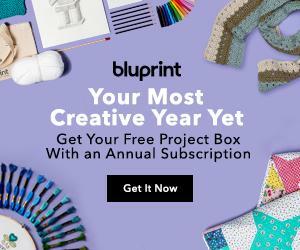 To create these quilts, the typical patchwork concepts are used, but quilters incorporate unconventional fabrics into the mix, such as denim, fleece and even flannel. During the Civil War in the 1850s, women played a key role in making sure soldiers had the clothing and bedding they need. At the time, the government did not provide for the military as they do today. 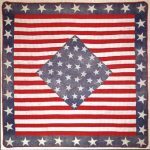 Women used simple patterns and basic fabrics when creating quilts for soldiers. Time was of the essence, so the faster a quilt could be made, the better. Quilts were often made with whatever fabrics women could find, including suits, uniforms, fertilizer sacks, blankets, men’s clothing, coats and everything in between. Quilting was first introduced to Hawaiians in the 1820s when missionaries arrived. Initially, fabric imported from New England was used. The first Hawaiian fabric used was known as kapa. Kapa was made by beating the bark of Wauke or Mulberry trees into thin sheets. The sheets were later colored using plant dyes. Every Hawaiian quilt is made with a purpose, either in memory of loved ones or to celebrate important life events. Because Hawaiians had no functional use for quilts due to their tropical climate, quilts could be made at a leisurely pace. 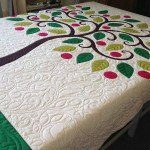 This style of quilting incorporates objects of nature and things that are sentimental. There are almost as many quilting styles as there are quilters. 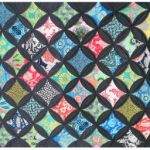 As your quilting skill progresses, be daring and venture off into different styles to see which one you like best.